The ground floor is equipped with a custom fitted kitchenette for all cooking needs, a relaxed seating area, toilet and external balcony. The stylish and luxurious second floor bedroom, bathroom and balcony are accessed via a sculptural steel staircase. 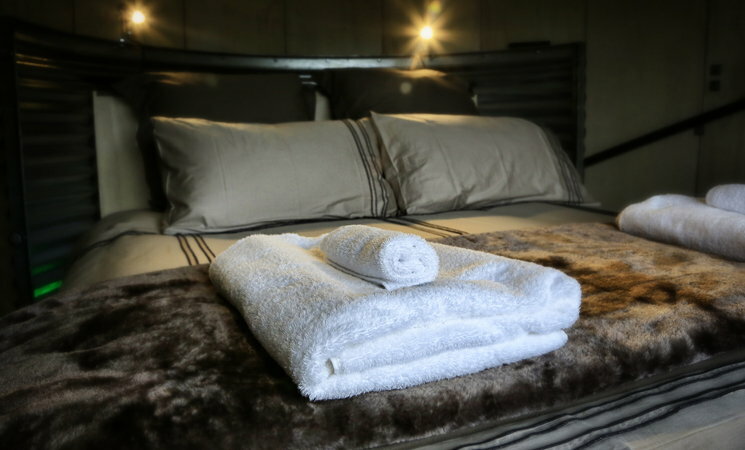 Built for the discerning traveller, each Silo has a wall mounted flat screen satellite television, bed head mounted MP3 stereo/CD/iPod/USB, and free Wifi. 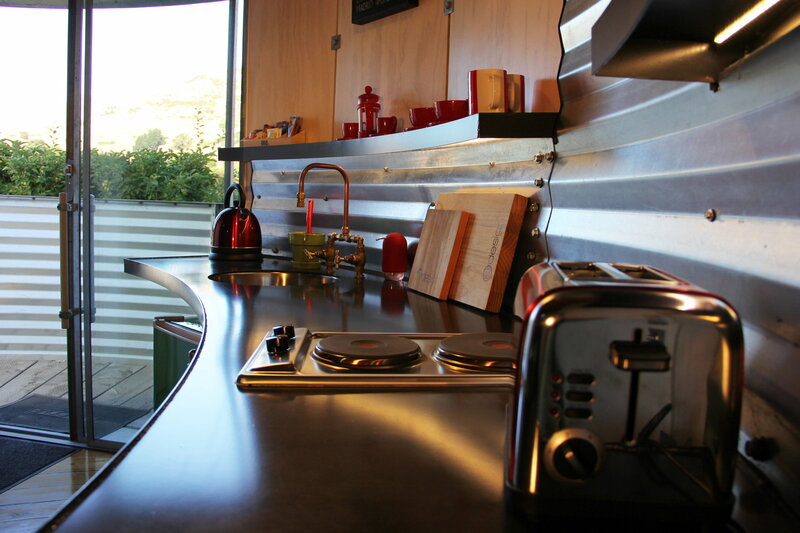 SiloStay has been designed and built using innovative eco-friendly systems. Wool is the insulation of choice – under floor, in the walls and in the ceiling. A waste by-product of timber production is used to heat the units in winter. Passive cooling in summer means simply open the hatch at the top of silo. Even the waste water system is planet friendly – ‘Biolytix’. The BioPod harnesses the energy in the waste (including the sewage, toilet paper and food waste) to nourish the worms that break down the waste. Nothing is wasted. All the atmospheric lighting, both within individual silos and the external boardwalks are LED. Stay somewhere unique – enjoy the eco-friendly SiloStay experience, and explore the beauty of the rugged landscape of the Banks Peninsula region. SiloStay is located prominently on the Christchurch Akaroa State Highway 75 between the Little River Art Gallery, Store & Cafe and an adjacent Diner in the centre of Little River. Ideally situated just 50 minutes from Christchurch city and International Airport, and only forty minutes to picturesque Akaroa. Bespoke, innovative and stylish – utilising sustainable products, local resources and talent; nine silos have been converted into modern and unique serviced apartments. 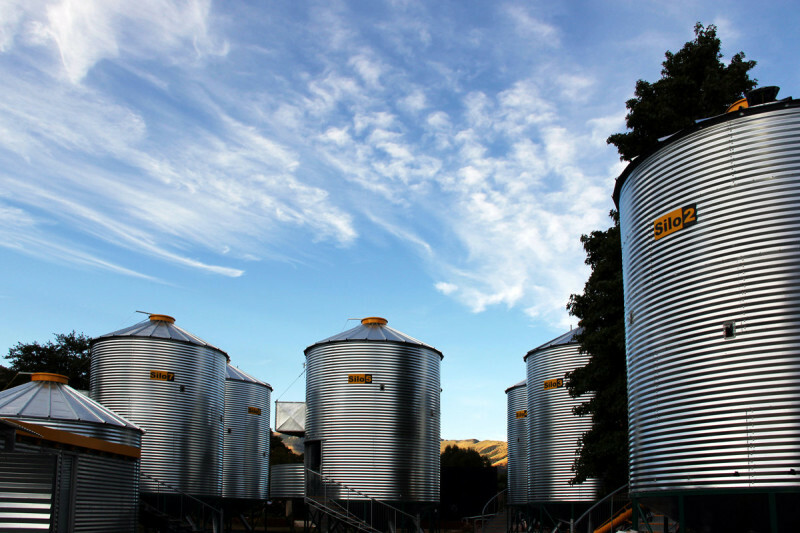 Stay somewhere unique - enjoy the eco-friendly SiloStay experience, and explore the beauty of the rugged landscape of the Banks Peninsula region.